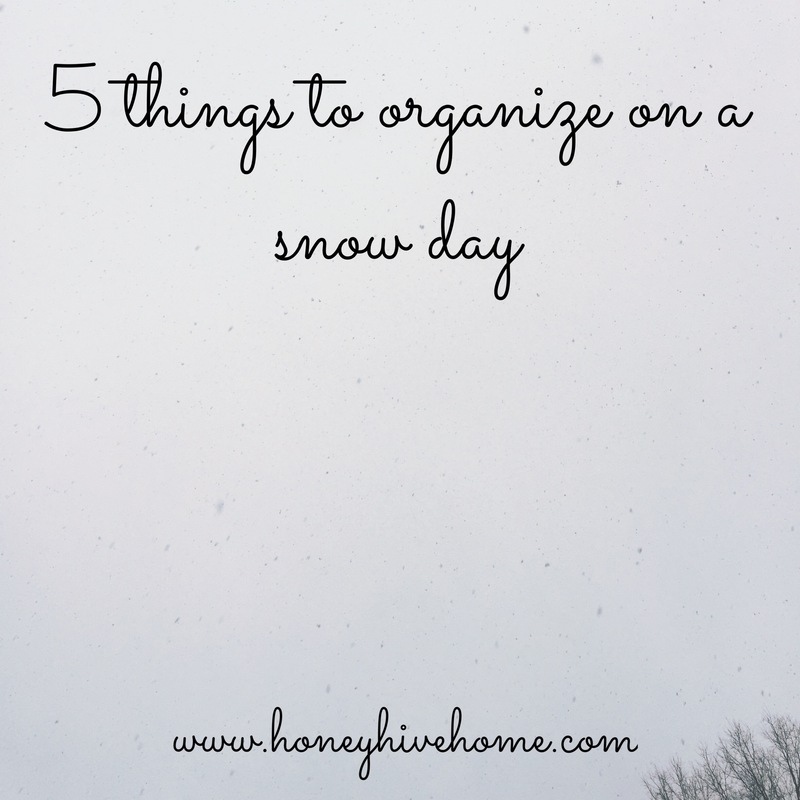 Whether you’re enjoying a snow day here on the East Coast or are somewhere with warmer weather, I thought it might be helpful to put together a list of things you can organize with a day, or even just a few hours, spent at home. Think of the following ideas as a choose your own adventure of sorts, but with each of the options resulting in a more organized and less cluttered space! File everything in its place! If yes: will you read it again? When? Is there someone else who could make better use of it? For each space, think critically about how many items you actually need for each space. Don’t host guests often? You can probably get away with having just one set of sheets + two sets of towels (depending on the amount of space you have). If you have more people, you can always give them extra towels used by you or your kids! For main living spaces, I think it’s perfect to have one to two sets of sheets (two for kids or if you have seasonal weights like flannel for winter), one to two sets of towels per person, and a few extra blankets that can be used when it’s chilly (we usually just grab the throw blankets from our living room when it’s particularly cold!). The best part about all of these? They’re totally scalable! Organize your entire pantry or just one shelf. Go through all of the clothes closets in your home, or just stick to one. Go through the pile of books on your bedside table, or your entire library. I’d love to hear: what are your plans to get more organized (snow day or not!)? I’m so excited to share something that has been on my heart + in my head for quite awhile now. 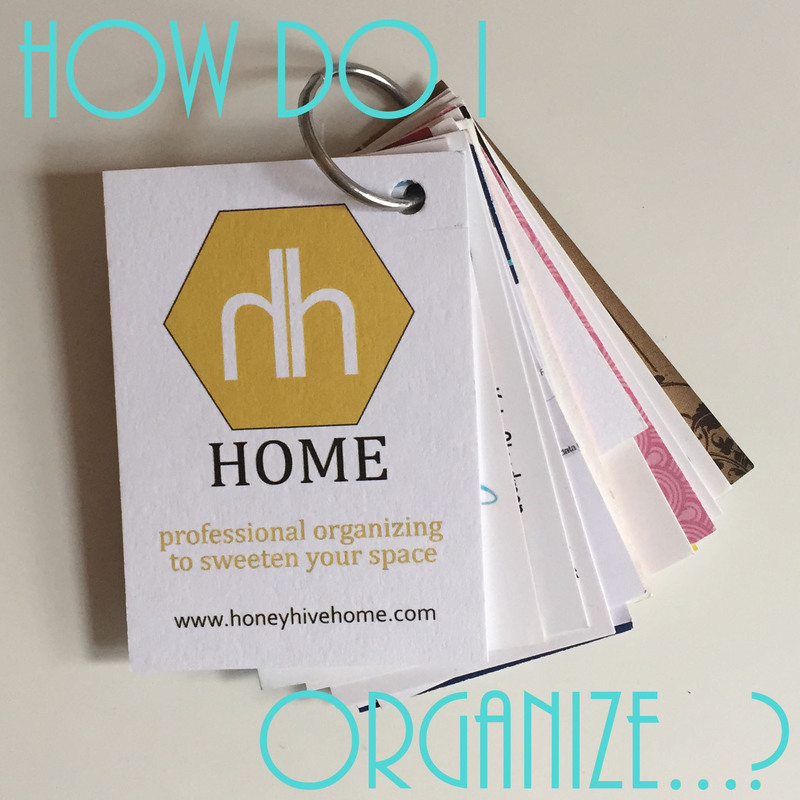 Ever since Honey Hive Home started, I’ve sincerely wanted to help as many people remove stress + anxiety from their lives by helping them clear the clutter and get organized. Since many people are limited by location or time/budgetary constraints, I wanted to create a way to help as many folks as possible. 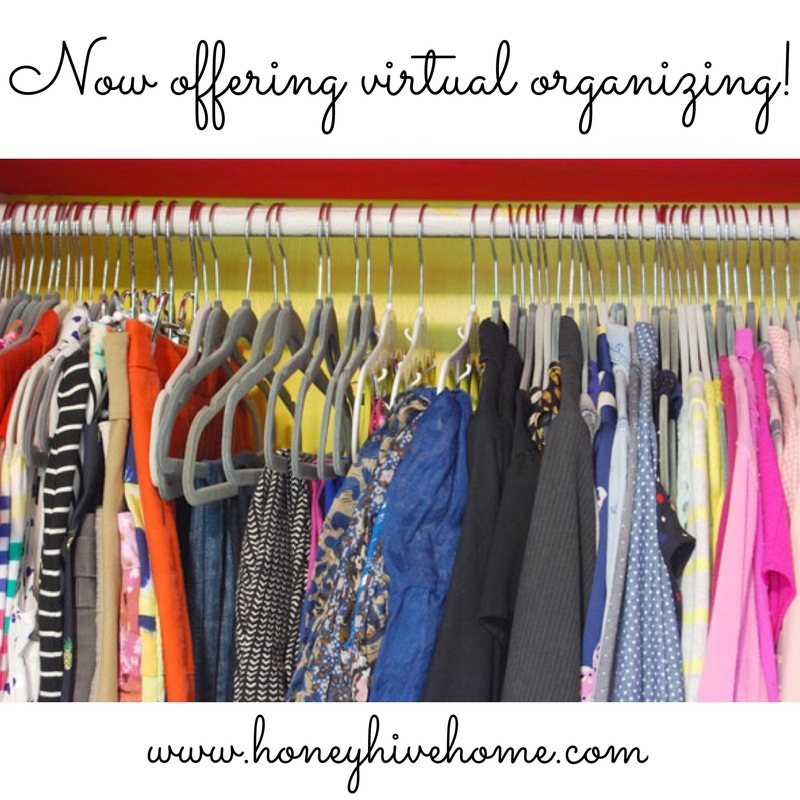 We will now be offering virtual organizing! Visit our website for the full rundown, but here are the details. Since this is a new service we’re launching, here’s a special offer: request to book a virtual organizing session by Monday, March 2, 2015 and receive $20 off! Interested? Contact us today! I’d also love to hear your thoughts about this new service and anything else you’d like to see us offer in the future. 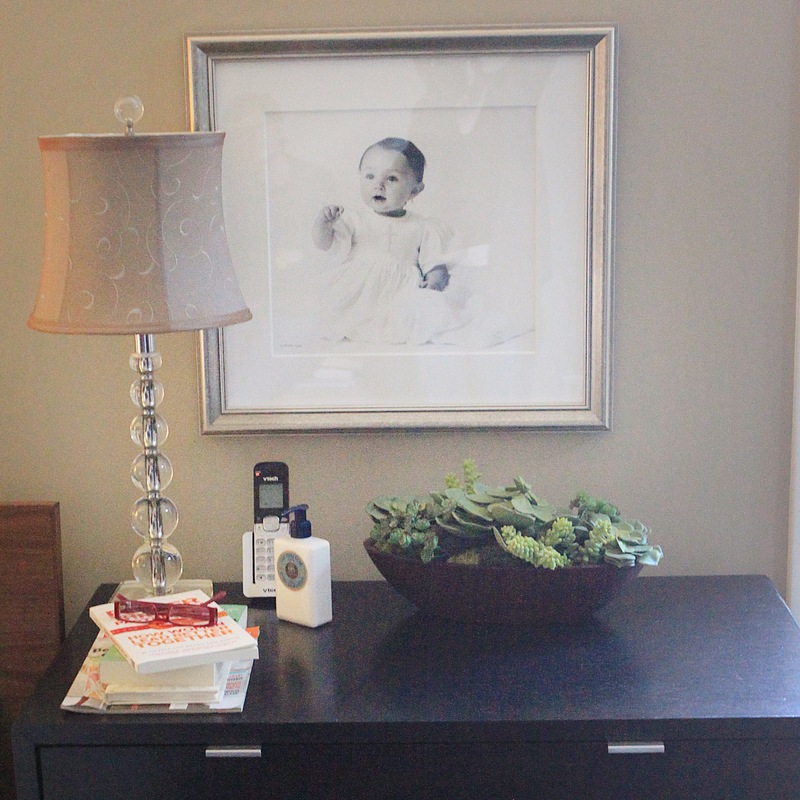 I’m a firm believer that the best way to get and stay organized is to simply have fewer things. However, I also think that some thoughtful organizing products can make a big difference in how we function! One product I’ve been loving for the past few months has been this in.bag handbag organizer that I picked up at The Container Store. I like to pretend that I’m not a bit high maintenance, but I had been getting frustrated at how cumbersome it was to transfer my belongings when I wanted to switch purses. I love being prepared for things I’ll likely need when on the go, and enjoy being able to add a helping hand in the form of gum, ibuprofen or a hair elastic when someone’s in need. This is also really picky (like I said, high maintenance), but I didn’t like that my belongings were in a different spot depending on which purse I carried. 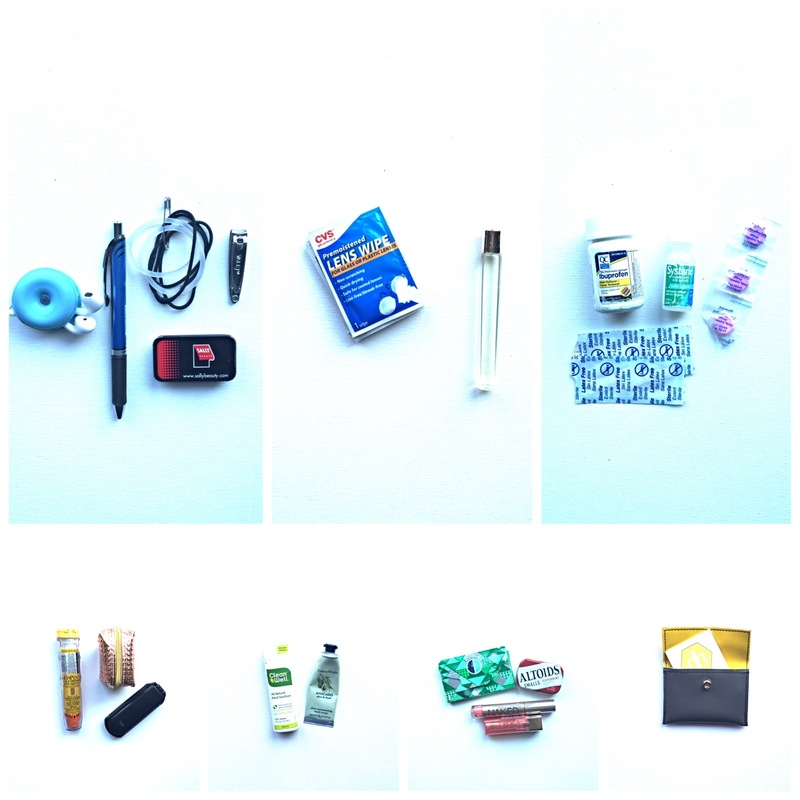 With all of these things, there are still a few items I keep separated from the handbag organizer for easy access: my wallet, glasses case, cell phone and chap stick. The first two are kept in the main compartment of my purse right next to the organizer, and the latter are in the zippered pocket of the purse, along with car keys if I have them. I love being able to switch from one purse to another easily, blindly find whatever I need in my purse, and know that I have pretty much anything I could need with me at any given time. It’s also great to easily identify what doesn’t belong, like a wayward receipt or something I picked up while running errands. 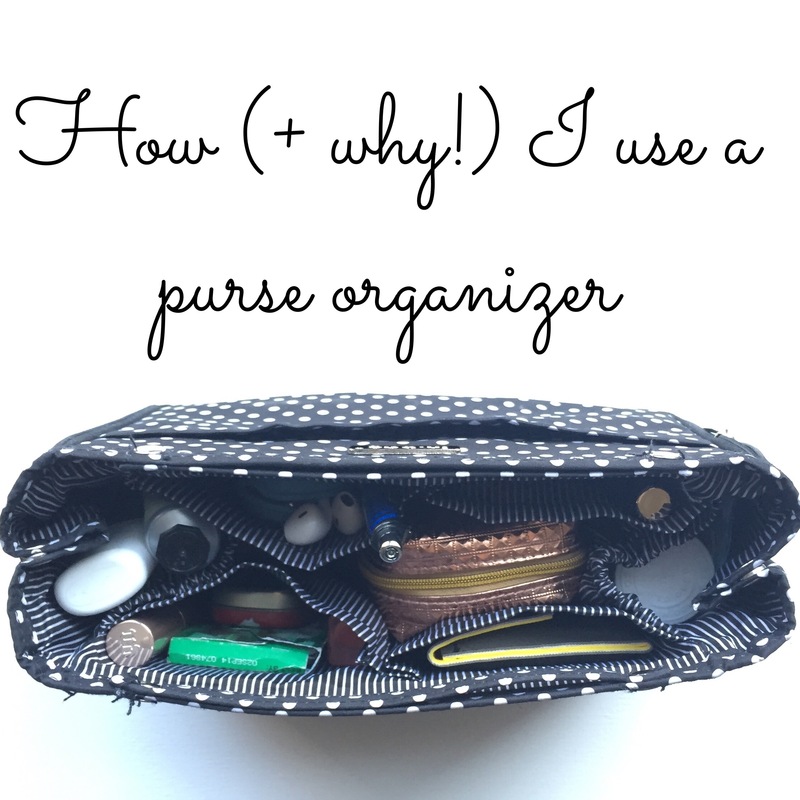 I’d love to hear: how do you keep your purse organized? 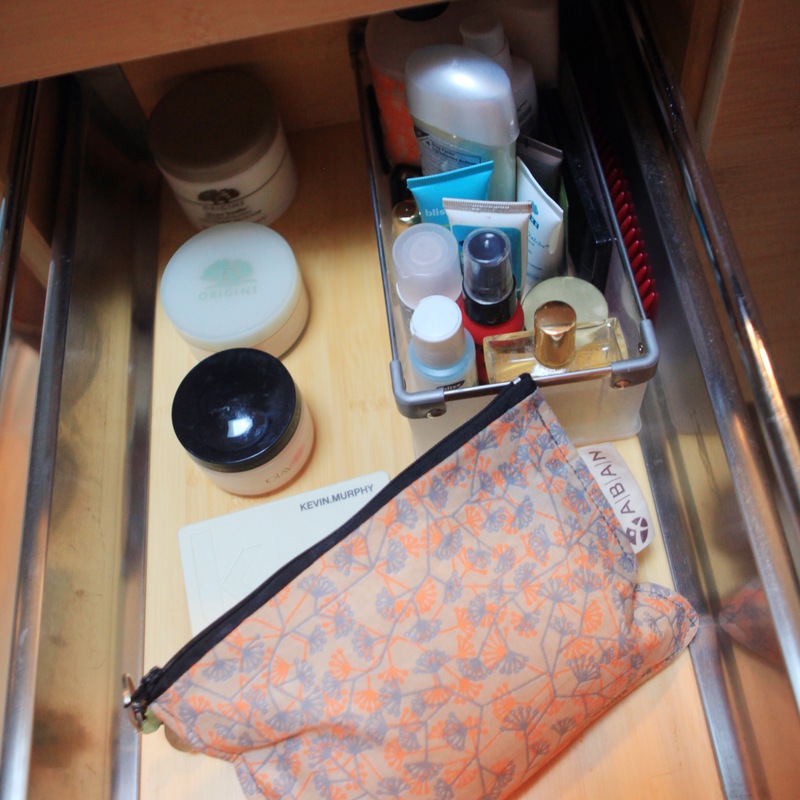 What other organizing products are you loving lately? As I’ve mentioned several times on Instagram over the past few weeks, Kate and I decided to try the Whole 30 food program over the past month. For those of you not familiar, this basically meant lots of produce, lean proteins and healthy fats. It also meant being asked more than once by grocery store clerks if I was “cooking for a crowd.” Nope, just our family of two! With our food choices relatively limited, I also had to put my organizing skills to good use to make sure we always had plan-approved meals at the ready, even when our schedules got busy. Overall it was a difficult but worthwhile experience! I felt abundant energy, slept really well, and lost nearly 20 pounds(!). I also had some crazy cravings and points where I just couldn’t really stomach any. more. meat. Since our 30 days just wrapped up on Tuesday, Kate suggested that I share a bit about the experience, and I thought I would add in some tips that helped keep us organized during the month. This has been my unofficial mantra so far this year! It has been really motivating to push my limits and see that I can successfully do things outside of my comfort zone. Foregoing sugar, most carbs and gluten for a month? Definitely not easy, but super empowering! For me, these whole 30 days were a huge exercise in willpower. It made me realize how frequently I’d been stopping by Starbucks or grabbing chips + guac just because I could. I’m a bit embarrassed to say that not being able to do those things any more really challenged my willpower. This was such a valuable awareness for me to being building, and has caused me to shift my thinking about needs versus wants in this arena moving forward. This seems a bit trite to say, but I’d never really applied this phrase to my own relationship with food. Food instead was a comfort, pleasure, source of energy, or way to bond with others. I won’t lie and say that I’m totally perfect (because, hello, this was 30 days over the course of over 27 years! ), but I’m starting to see how food really impacts my mood, energy, sleep and more. While food can sometimes be the things I listed above, I feel a lot better when I’m using it to fuel my body. Cooking foods that were well-seasoned really made a huge difference! We bought a ton of spices and always enjoyed meals more when they were prominently featured. There were so many times when fresh basil, garlic powder, or cumin really made all the difference in terms of how it tasted. This is definitely something we want to continue moving forward! As the one who does meal planning + grocery shopping in our household, I thought I knew my favorite grocery stores well. I knew what times to go to avoid crazy crowds, where my regular products were located, and how to organize my grocery list in order of store layout. However, when it came to buying foods that fell within the Whole 30 plan guidelines, I was fairly clueless. For my first shopping trip to prepare for Whole 30, I enlisted Kate and blocked out plenty of time on our calendars so that we wouldn’t feel rushed. We took things slowly, allowing for lots of asking sales associates where items were located and using our phones to Google random added ingredients, like “citric acid + Whole 30,” to see whether they were permitted. This was so helpful! It really allowed me to familiarize myself with the program and products that were going to work well for us in the coming weeks. I would highly recommend going to the store at a time when it won’t be crowded so you won’t feel (more) overwhelmed or rushed. When I sit down to meal plan for the week ahead, I make sure to look over our calendar to see what events we have that might take us outside of the home for a meal. Although you can eat out during Whole 30, I honestly found the prospect pretty stressful, so I opted to eat before or after events that took place in the evenings. For things like the Super Bowl, Kate and I brainstormed things we would like to have that would fit in with this food plan and made sure we would have time to make them ahead of time to bring along. It was also crucial to carve out time to cook within our schedules. Utilizing our calendars meant that we could plan when to make the bulk of our meals for the week, and also to figure out what evenings we wouldn’t be home during the week, so we could be sure to have something already prepared to eat. I use the meal planning worksheets from Emily Ley’s Home Base Binder and highly recommend them, but really any meal planning sheet you use is just fine. My binder sits on a shelf right next to my desk, so when it’s time to meal plan, I can just pull it out and get to work! I will share a more in-depth post on meal planning in the future if you’d like (let me know! ), but here’s my basic process: I meal plan and grocery shop on Fridays so that we’ll have meals from Friday dinner through lunch the following Friday. This way we’ll have some new and exciting meals for the weekend, which keeps me from being as tempted to eat out! 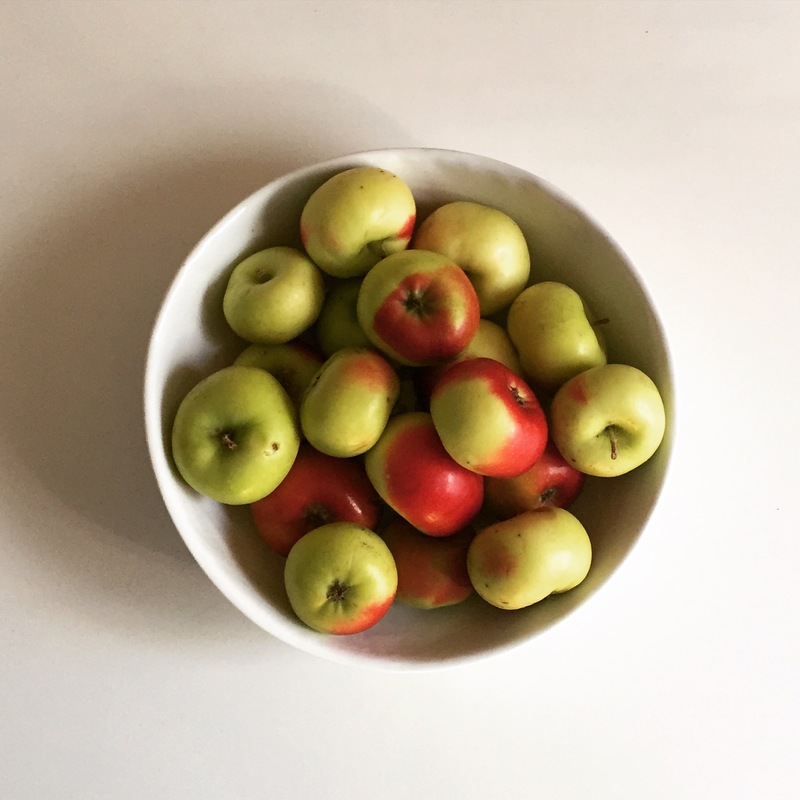 For Whole 30, I went to two grocery stores each week: Trader Joe’s and Whole Foods. They are actually the two grocery stores that are closest to where we currently live (#spoiled) and have a fantastic selection. I was able to get most items we needed each week at Trader Joe’s, with a few specialty items and cuts of meat from Whole Foods. Pinterest has been such a huge God-send in my Whole 30 meal planning process! I created a board of Whole 30-friendly recipes and would pull it up each week to decide what we’d be eating. Any time I came across a recipe that sounded tasty, I could add it here and have everything in one central location. I really can’t emphasize enough what a huge help this was to keep me on track during the Whole 30 plan. Although the predicted serving amounts of the recipes we made were usually accurate, sometimes we ended up with more food than we had anticipated. Whenever this happened, I would put the extra servings in the freezer. I’d then add a note on a post-it into my meal planning binder to remind myself of what we had set aside (i.e. 2 servings butternut squash lasagna; 6 turkey burgers). These meals were great to fill into times when we would be busy but needing to eat, like when Kate was doing trivia with friends and I had a Junior League meeting. Goodness, this post has shaped up to be a bit longer than I had originally intended! Right now we’re in the process of reintroducing foods into our diets that we had eliminated to see if any cause adverse reactions. Based on this, Kate and I are planning to figure out a way of eating that works for us moving forward. But I’d love to hear in the meantime: have you done Whole 30 or paleo before? 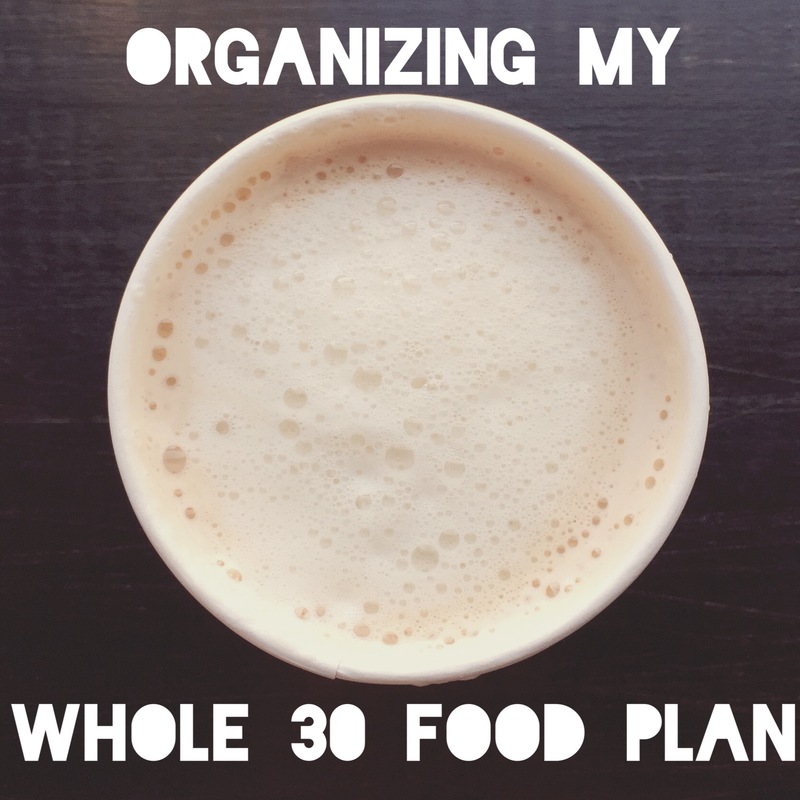 Either way, what are some of your favorite ways to stay organized when it comes to meal planning? How Do I Organize… Business Cards? Even though many things are done electronically these days, I still get the question of what you should do with business cards. I love handing out my business cards at events and frequently collect them from folks I meet so that we can connect afterward. If you aren’t careful though, they can quickly take over your work space! This is particularly true if you don’t have some sort of database to store contacts, but even if you do, it can be difficult to make the time to do this on a regular basis. Any other suggestions I should hear? I’d love to know how you manage your business cards! I know that we’re a few weeks into 2015 already, but I’ve felt like I just needed a bit more time to figure out a plan for the year ahead. 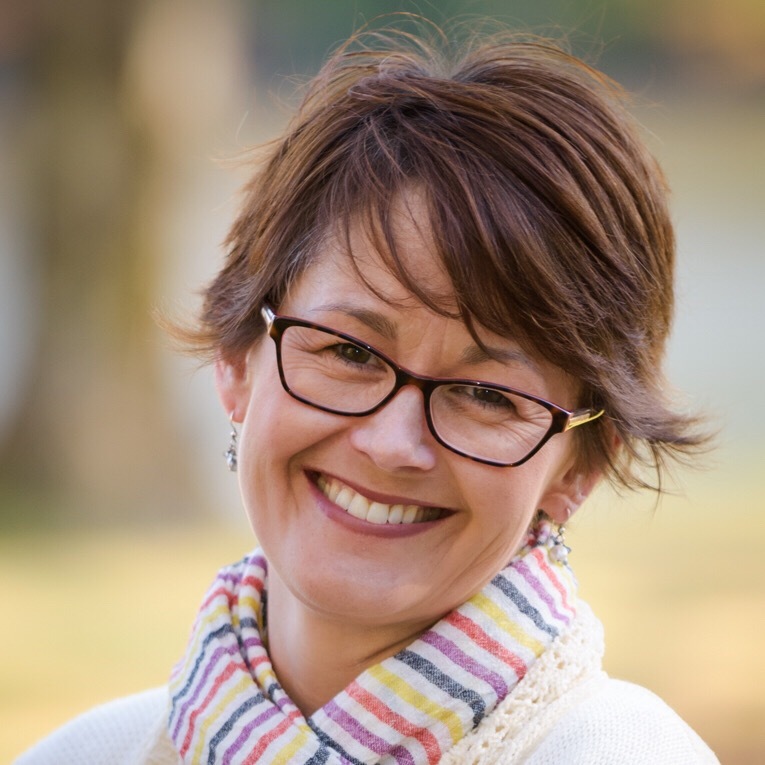 I’ve been using my friend Lara Casey’s PowerSheets, and they have been such a tremendous help in this process, as well as her book and blog posts on goal setting. This has also been the first year that I’ve really spent time asking God what He wants me to tackle in the year ahead, and how I can best bring glory to Him. This week we had a guest pastor at church, and his sermon was about this exact topic, which made me even more fired up to make what I’ve outlined below happen! Have a strong relationship with God + feel strengthened in my knowledge of Him and His plan for my life. Be physically fit + vibrantly healthy so that I can actively + energetically use this gift of life God has given me. Nourish my body well and give it the fuel + rest it needs to function at its best, keeping my cravings focused on God, not food. Spend purposeful + intentional time together with Kate to keep our marriage a top priority even when things get busy or stressful. Put time, energy + effort into securing clients to build my business. Ensure that all of my actions + activities related to Honey Hive Home are thoughtful + accurately portray who I am as a person + business owner. Act as a good steward of the blessings with which God has entrusted us, setting + adhering to a budget, caring for what we have, coveting less and giving well. Be disciplined in my daily routine, making time for what matters + honoring the boundaries I want to implement. Build + grow deep friendships focused on encouragement, support + fun. 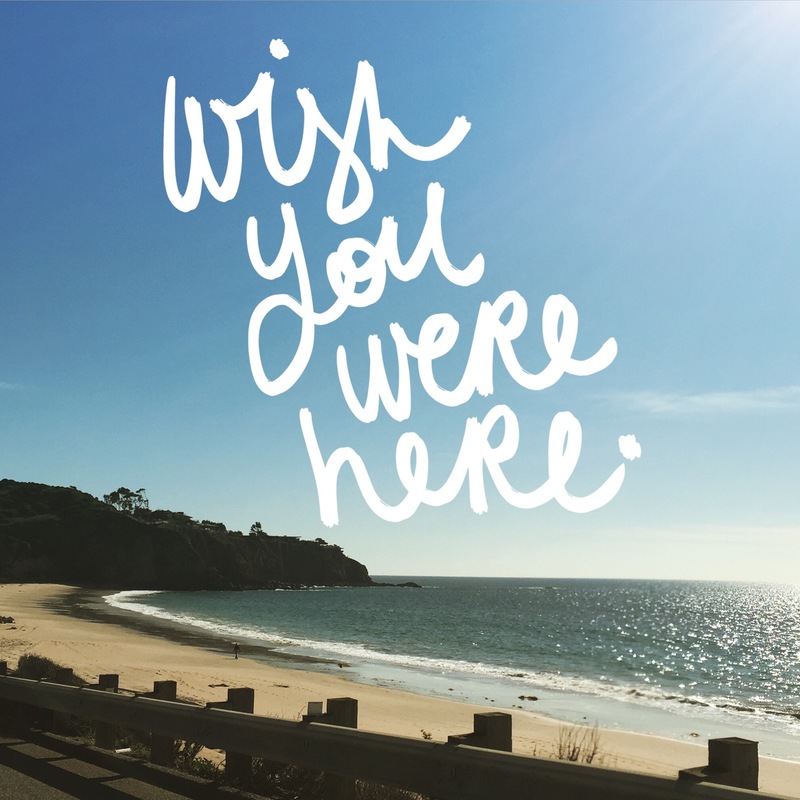 Actively pursue adventure + say ‘yes’ to trying new things outside my comfort zone. Honestly, I’m resisting the urge to share paragraph-long explanations and justifications about each of these, so just know that these goals come from my heart. My word for 2015 that I want to focus on is discipline, and I really want to bring this to all areas of my life, while still having fun. I actually took a break from sharing my monthly goals last year, because I didn’t feel like they were really connecting most with my overall plans, but I would now like to share what I’m focused on each month for a mix of accountability and inspiration. I’m hoping that’s something you won’t mind me posting! Since I finalized my goals last week, I decided to combine the months of January + February for my monthly goal setting, so my plan is to share those next week. 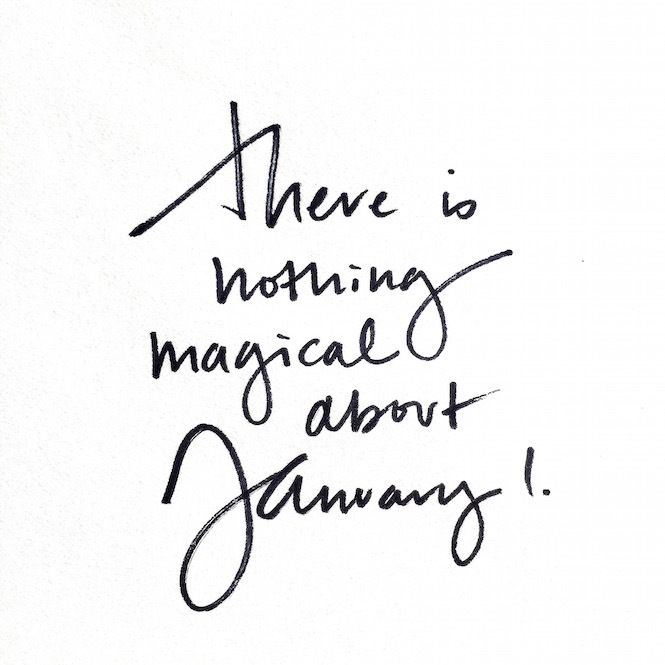 I’d love to hear: what are your goals for this year? Do you have a word picked out? Or do you refrain from goal setting altogether? 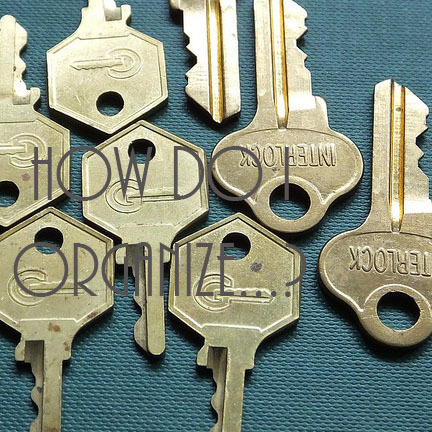 How Do I Organize… Keys? One thing that seem to be floating around in almost any home I organize are keys! As people move, change jobs, buy and sell household goods, keys seem to accumulate and be tossed into random bins and drawers. Here are a few quick tips to help get them streamlined and organized. First, gather up all of the keys that you can find. Test them out where you think they might work. If you find ones that are to old locks (i.e. you’ve had the locks changed) or to vehicles that were totaled or sold for scrap parts, go ahead and toss them. They don’t have a function and are just taking up space! If you find keys to old offices, to homes of friends or relatives that you no longer need, or to an item that you gave to someone you know, go ahead and send it their way. This will make their lives easier and yours, too. For locks that come with keys that are no longer needed, go ahead and donate them. Perhaps you had a storage locker where a lock was required, and you no longer use it. Donate the lock + key so that someone else can use it. This is the same for combination locks. Just make sure that you include the combination! With the remaining keys that you’re keeping, label them! I’m a big fan of these key tags from Avery, since they are durable and easy to use, but you can use whatever you’d like. Clearly label all of the keys, from spare ones to your home and car, to the one for your bike lock, so that you will easily be able to identify them going forward. Only keep the keys you use every day in your key bowl or on your key rack or console table. Store the rest in a place that is accessible but out of the way. This will make things feel much more streamlined and also help you to find your everyday keys more easily! Use a binder clip to keep the rest of your keys organized. We use a large binder clip to store all of our spare keys. You can easily pop off the metal arm, slide keys on or off, and then reattach it. This way if you quickly need to get a spare key, you can grab the binder clip holder and go! What about you? How are you keeping your keys organized? I’d love to hear! Also, please let me know if you have any other trouble items that you’d like tips on how to organize.